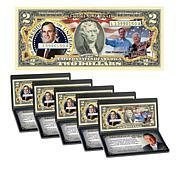 2007 PR70 ICG DCAM 4-coin Presidential Dollar Set. Why settle for one commander-in-chief when you can have four? 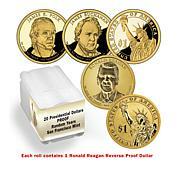 Get every 2007 Presidential dollar in dazzling Proof condition with this 4-coin Presidential Dollar Set. With a beautiful oak display case included in the set, this is one executive decision that will add prestige to your collection. 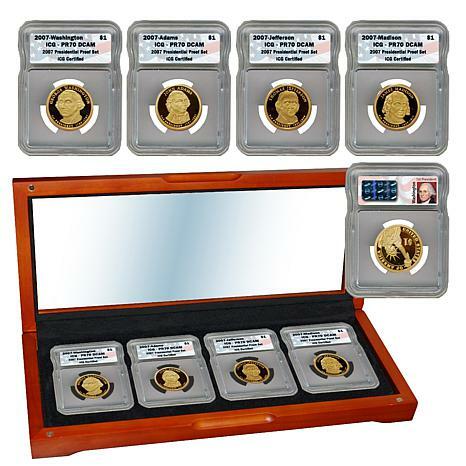 This is a very nice coin set and I am happy to add it to my collection. 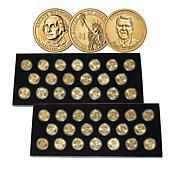 I was not collecting the Presidential Dollar Coins because I have a greater focus on Silver Dollars & Quarters. However, after watching Mike's presentation regarding the uniqueness of this 2007 set, I decided to get it. 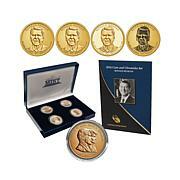 The coins are perfect and, together with the really nice display box, it makes a great collectible. Glad I got it! Thanks! For all the bad weather that came we got it in a good time!